Leslie Stevens and Joseph Stefano (who wrote the screenplay for Psycho) were the creative talents behind the best sci fi anthology of the 1960s (maybe of all time). The concept was that each show would stay within the confines of the science fiction genre and feature a “bear”—Stefano’s nickname for a scary monster. The scripts weren't as consistently strong as The Twilight Zone and the show’s budget often worked against some of the high-end concepts. But when The Outer Limits was good, it was very good. Without further adieu, we list our picks for the five best episodes. 1. Demon with A Glass Hand - Trent (Robert Culp) is a man “born ten days ago” who has no previous memory and is being pursued throughout a huge deserted office building by alien beings that want to kill him. His actions are guided solely by his hand, which is made of glass with a tiny computer inside. The hand has two digits—the thumb and pinky—and talks to Trent. This fascinating episode penned by Harlan Ellison showcased The Outer Limits at its best: a brilliant concept, an offbeat setting, and a strong central performance. 2. The Architects of Fear - With the world facing annihilation from a nuclear war, a group of idealistic scientists decide to fake an alien invasion so warring factions will join against a greater enemy. In this way, they hope to achieve world peace. They draw lots and Dr. Allen Leighton (Robert Culp again) is selected to undergo surgeries that will transform him into an "alien being." Like any great science fiction story, The Architects of Fear balances social comment on the macro level with human drama on the micro level (in this case, the relationship between Leighton and his wife). The ending of the popular graphic novel Watchmen owes much to this classic Outer Limits episode. A very memorable alien creature. 3. The Zanti Misfits - The imaginative premise has an army unit occupying a modern-day ghost town to ensure the safe arrival of an alien spacecraft carrying prisoners. No one is enthused about this mission--the Zantis threatened to declare war if their request to establish a penal colony on Earth was not granted. Although the army has secured the area, a low-life criminal (Bruce Dern) and his runaway wife (Olive Deering) break through the barricade. Their meddling ultimately leads to a memorable, all-out battle between the bug-like Zantis and the soldiers. A memorable exercise in visual horror, writer Joseph Stefano also makes a chilling statement about the nature of the human race. Bee-ware of the new lab assistant! 4. Zzzzz - An entomologist studying bees needs a new lab assistant. A queen bee who can transform herself into human form needs a new mate. The entomologist is married. We now have a conflict. This entertaining episode benefits mightily from Joanna Frank, who scores as the exotic bee queen determined to get her way. This episode may lack the social significance of other better episodes--but it is sure is fun. 5. The Inheritors - An Army officer, Lieutenant Minns (Steven Ihnat), miraculously survives after being shot in the head by a bullet forged from a meteorite. He tracks down three other men who endured a similar experience. They began to build a spaceship while Minns recruits handicapped children for a special mission. What in the heck is going on? 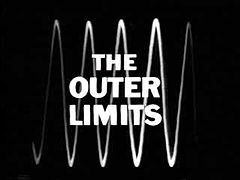 The Outer Limits' only two-part episode is a stellar one, unfolding as a mystery and ending in inspirational fashion. Ihnat, a good actor often relegated to supporting roles, is first-rate as Minns. 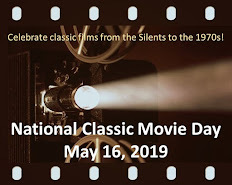 Honorable Mentions: Soldier (also written by Harlan Ellison); The Sixth Finger (David McCallum becomes the man of the future); and It Crawled Out of the Woodwork. These are all excellent choices. Awhile back I followed a blog that reviewed each episode of OUTER LIMITS, along with plenty of comments and special features. Check out http://wearecontrollingtransmission.blogspot.com It's the best coverage of the series that I've ever encountered. Rick, I'm not as familiar with "Outer Limits" as with "The Twilight Zone" since I haven't seen most episodes in many years. 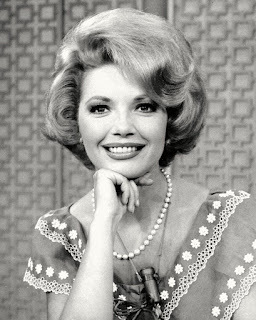 But I do have a favorable overall impression of the show, recalling how provocative some episodes could be without becoming preachy as "Twilight Zone" could be, and that the show seemed to get better as "Twilight Zone" went into decline. I remember above all the gorgeous photography of Conrad Hall (he did "Zzzzz"). I don't recall many specific episodes, but do especially remember the Zantis, "Zzzzz" (I remember that the queen bee's name was Regina!) and an episode with Eddie Albert about malevolent tumbleweeds. And, of course, who could forget that opening statement: "Do not adjust your television set." Your description of your other favorite episodes which I recall less well argues for another look. The tumbleweeds episode is called Cry Of Silence. Rick I like you top 2 but would have Solider. Cry Of Silence and Behold Eck.. I got to meet Mr Stevens in the late 70's, I sold him a new car stereo rig for his BMW. A super nice guy. Rick, this is another fascinating post about Classic Television. I remember four of your five selections but cannot recall "The Architects of Fear." Like R.D., I am more familiar with "The Twilight Zone" than "The Outer Limits." I think I need to be on the watchout for another "Outer Limits" marathon. Great choices, Rick! You've included some of my personal favorites (Demon With a Glass Hand, The Architects of Fear and The Zanti Misfits), so I don't really have anything to add to the list. It's just a shame that The Outer Limits never lasted as long as The Twilight Zone. Fantastic choices from everyone. I agree that it's a shame OUTER LIMITS didn't last longer. Still, it's best to go out on top... "Soldier" is quite good; it's probably #6 for me. I need to watch "Keeper of the Purple Twilight" and "The Bellero Shield" again (I'm lucky enough to have both seasons on DVD). Oooh, Rick, you've made me want to watch THE OUTER LIMITS all over again. I loved that show and rarely missed an episode. Unfortunately most of them are lost in the swirling mists of time that is my brain. I only vaguely remember your top five. A couple I don't remember at all. Good excuse for me to hunt them down and take another look. You left off my favorite episode and probably the only one I do remember pretty well. It starred Martin Landau (I think) and Shirley Knight (I think). Landau plays a time traveler from the future who has gone back in time to stop an earth scientist from (can't remember how) causing mutants to take over his planet or something like that. He misses the target date and goes back further in time. He meets the woman who will give birth to the scientist instead. BUT - he (a mutant or alien space form can't remember) only appears as a human to the woman because of his ability to hypnotize. Okay, so here's what happens: they fall in love. Finally he reveals himself to her, but she still loves him and they take off in a space ship. But as they get into outer space, he disappears. He no longer exists. She's left alone on board unable to fly the ship. Though I've always wondered why the ship existed at all. Does anyone else remember this episode?? More information on the web site Walker Martin pointed out. Also http://www.geos.tv/index.php/index?sid=200 has a top 10 list worth checking out. yes --- and it was awesome --- like the whole shebang! 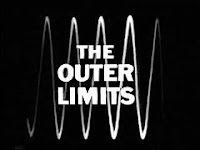 In giving credit for The Outer Limits, it should be borne in mind that after the show's first season, ABC forced both Leslie Stevens and Joseph Stefano off the production, and replaced them with their own executive, Ben Brady. Under Brady, Outer Limits became a noticeably different show; the main difference was that the dark, moody photography was scrapped in favor of more conventiional lighting. Also, it was under Brady that science-fiction authors were active sought out for stories: Harlan Ellison's involvement didn't happen until the second season, under Brady. Because of these reasons, I've always thought of Outer Limits as being two separate but sort-of equal series that happen to share the same title. Yes and also the music by Dominick Frontiere during the first season was so very well suited for the show, though he was replaced in the second season by Harry Lubin. Whereas, Lubin's musical score fit much better for One Step Beyond. Both very haunting. You did a very good job on OL...but "The Sixth Finger" to me is way better than ZZZZZZ. It had a wonderful climatic ending in which a woman scientist blacks out an entire city in order to steal the energy needed to retrieve her scientist husband from an inter-dimensional "borderland". "There are worlds beyond and worlds within that the explorer must explore. But there is one power that seems to transcend space and time, life and death. It is a deeply human power, which holds us safe and together, when all other forces combine to tear us apart. We call it the power of love." Corny as Hell, but moving nonetheless. The Sixth Finger, Galaxy Being, The Bellero Shield: great plots and monsters, really!